Looper is the type of film that leaves you questioning everything you know about time travel! The science fiction thrill and thought behind it is evident as the movie progresses. The basic story is about a man named Joe who is played by Joseph Gordon-Levitt as the young Joe and Bruce Willis as the older Joe who are future contract killers called ‘Loopers’. In the year 2074 civilization have created time travel however it is highly illegal to use. It can only be accessed by the biggest criminal mafia organisations in the world. In this future they can no longer simply kill a person & hide their bodies due to personal tracking devices. So instead they send the victims back 30 years and a looper’s job is to kill them and dispose of their body. Making them simply another blip in the missing persons lists. But when young Joe comes face to face with his older self who was sent back to get killed. 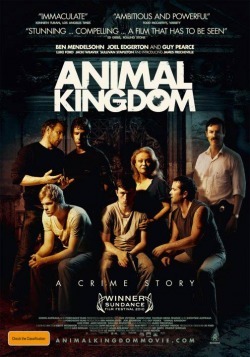 He hesitates only for a minute and that’s when the plot takes off.Young Joe is determined to go through with killing his older counterpart something which their industry called ‘closing the loop’. They get paid a hefty amount and live their life in luxury for the next 30 years. But the plot thickens when older Joe manages to escape. Only to contact his younger self again to explain his current situation, unsure whether young Joe will choose to help him or continue with his determination to ‘close his loop’. The storyline was quite confusing to digest and the plot did have many holes, but the movie does a decent job of explaining itself. To be frank, no time travel movie ever makes 100% sense, especially when the characters start crossing paths with themselves. You’ll always question ‘shouldn’t he have remembered what he did and saw everything coming?’ But generally if you come into the film with an open mind and are willing to let go of some of the flaws, it will definitely entertain you and leave you riveting. The story had emotion, action and sentimental value. We laughed, we cried and we were hooked as it became more and more intense as the hunter became the hunted. The underlining message is profound and it will leave you thinking about it well after you’ve left the cinemas. It’s hard to walk away from Looper and say it’s just another typical pointless action film. 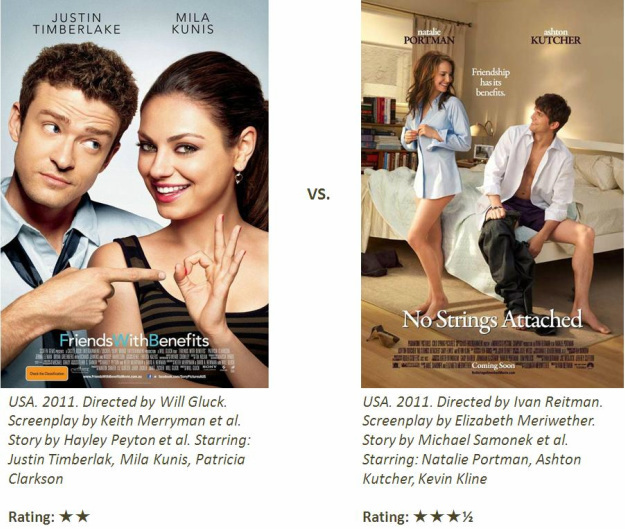 And that in my opinion; is enough to pass as a good quality film. Lastly the acting from all three of the main casts were outstanding. This movie proves the legendary Bruce Willis still has it in him. I give this movie a 3.5/5! I just read a really interesting article on 'Health and Wellbeing'. I know you shouldn't always believe what you read, but this is so appealing I'm going to choose to believe it. According to some research done at the University of Westminster, apparently watching horror films burns calories! 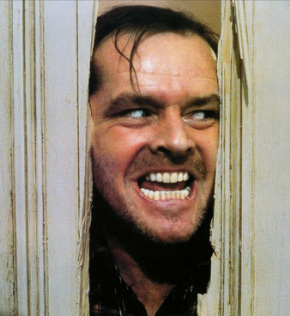 'The Shinning' starring Jack Nicholson pictured on the left burns an average of 770KJ per view!! That's equivalent to me doing a 1 hour combat training class at Fitness First! I knew movies were good for my health. All those times you told me to go to bed and stop watching TV mum and dad, I could've been losing weight. That explains why I'm a chubs now haha. 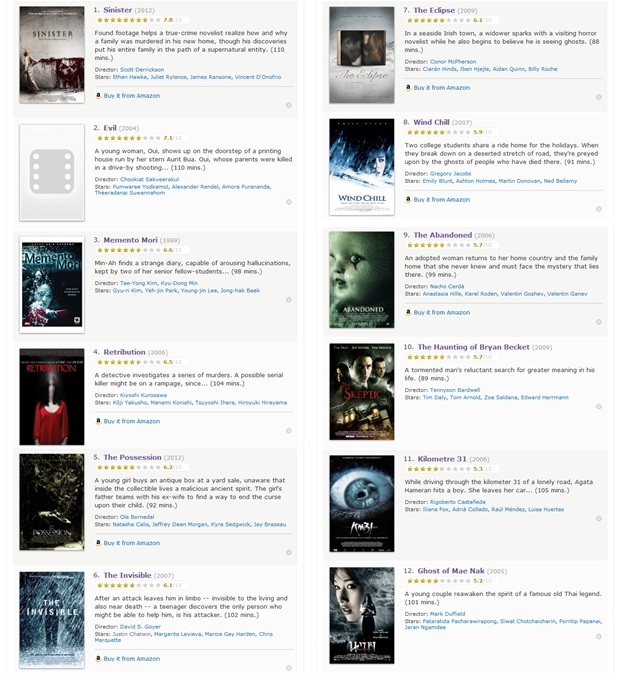 If that's true, I'm on the right track with my horror film list endevour. Just need to dig up those really freaky ones, watch a film every night and I'll be a skinny mini by the end of the year. I wish life was always as simple as this. Read the article for more details on the research & lists of other horror films and their calorie burning capacity. So you can start stocking up this summer :P. It's quite interesting, yet funny at the same time. Second horror film ticked off my list. 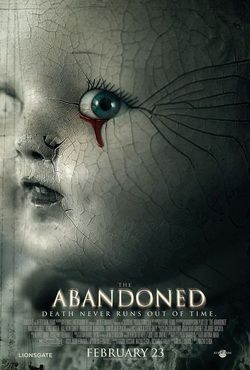 'The Abandoned' started out with so much potential. But usually films that build up that much tension & mystery always tend to disappoint because no revelation is going to satisfy you at that point. So if they do succeed, it'll blow your mind! or flop really badly. And in the case of 'The Abandoned' it disappointed indeed. The first 5 minutes of the film was gripping, it captured my attention immediately. The film had a really great build up. There were lots of twists and turns & the tension continued to build up.Then it got to the point which became too confusing & so many questions where left unexplained. Leaving me feeling frustrated & annoyed. There were a few creepy scenes, but the good scenes were very brief followed by some badly made-up doppelgangers that followed the protagonists around. It grew tiresome to watch the same 2 people running around screaming with no resolution. They finally delivered the big reveal, which only left me thinking... what a stupid plot!! To bring out yet another film based on a video game (and with the quality of past video game films like Tomb Raider, Doom, etc) immediately heightened my critical scepticism. But as soon as the first scene leapt on screen, I was pleasantly entertained from start to end. Jerry Bruckheimer and Disney already accomplished a similar feat when they brought Pirates of the Caribbean to the big screen, a movie based on a theme park ride and reigniting the spark in a overly common dwindling genre. There was really nothing I could criticise too harshly about the film. Some of the scenic choices seen in Prince of Persia were nothing short of breathtaking. The storyline and character development were just enough of an explanation to move the plot along without taking away from the action. No useless characters or WTF dialogue. The theme explores the idea of strong family values, which is a unique take on Hollywood’s usual action packed box office films. It took all the best parts of the original game bringing back the childhood nostalgia but finely tuned the good old Prince of Persia experience. 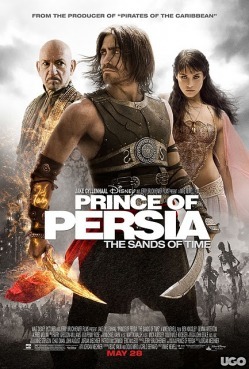 The protagonist prince Dastan (Gyllenhaal) was introduced to the audience as loveable character, immediately intriguing us to follow this underdog’s story. Gyllenhaal who really bulked up for the roll showed off his impressive athleticism and fancy footwork which gave the action scenes a distinct look and feel; and frankly less boring to watch. Of course there were annoying little flaws here and there throughout the film that could have been addressed better. Like the occasional awkward romantic moments between Dastan & Princess Tamina (Atertan) or the underuse of the Dagger in critical moments. And worse of all the typical Disney airy fairy happy ending which is as bad as ‘I woke up and it was all a dream’ (an amazing dream at that). But overall entertaining and amusing for what it was, great cinematography, likable characters portrayed by decent actors and an original plot and theme delivered through substantial script and storytelling. There was no distinctly stupid or funny scene that I can recall, but I did love the 360degree rotation of Dastan standing on the roof’s edge during battle. Which reminded me a lot of the Assassin’s Creed video game and for an instant I thought he’d jump off and land in a shallow hay barrel (often used in the game). But instead he tied a rope to his ankle and managed to jump into the level below in one swift impossible manoeuvre, that gave me a little chuckle. Looking forward to the next Jerry Bruckheimer & Disney collaboration - The Sorcerer’s Apprentice.